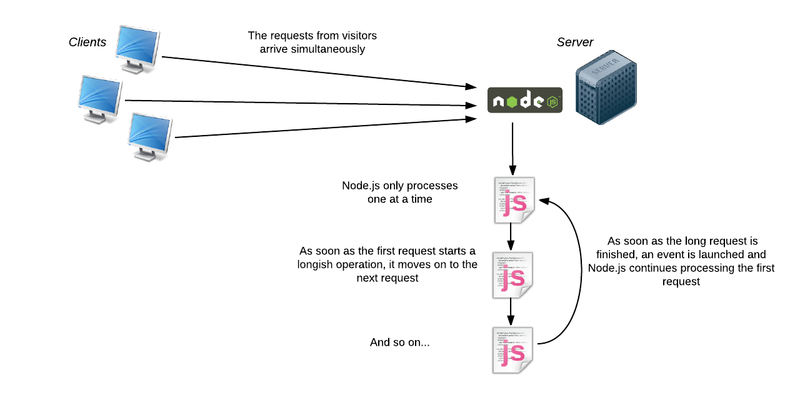 It's very important to have a clear idea about Node JS Hosting architecture, what type of processing model it is following, How it handles concurrent request with Single-Threaded model and many more. Node.js is mono thread or single thread. This means that there is only one process and one version of the program that can be used at any one time in its memory. 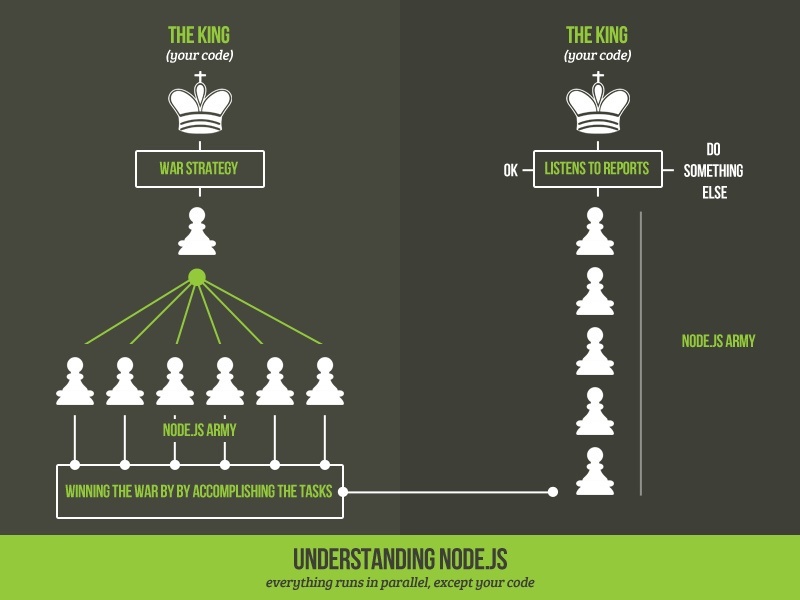 Many questions arises stating that whether Node.js is really fast because it could manage loads of requests simultaneously. If it’s mono thread, can it only perform one action at a time? So we have quite simple answer for this i.e Yes it is much faster ,it can only do one thing at a time and therefore only runs on one processor core. moreover, it does it efficiently, despite the latter, and is still much faster. This is mainly due to the event oriented nature of Node.js. Apps that use Node never sit around doing nothing. Whenever there is an action that takes a little too long, the program hands over to Node.js, which will carry out other actions while waiting for the event to happen to tell it that the operation is finished. 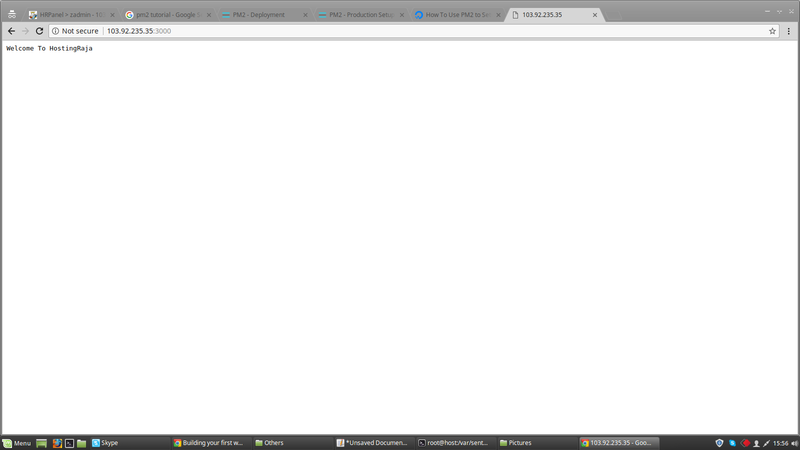 Clients will send request to Web Server. It receives those sent requests and places them into a Queue. It is known as “Event Queue”. This Node js Web Server internally has a Component, known as “Event Loop”. Why it got this name is that it uses indefinite loop to receive requests and process them. Event Loop uses Single Thread only. So Loop checks any Client Request is placed in Event Queue. If no, then wait for incoming requests for indefinitely. a) Starts processing that Client Request. b) If that Client Request Does Not requires any Blocking I/O Operations, then process everything, prepare response and send it back to client. - Checks Threads availability from Internal Thread Pool. - Picks up one Thread and assign this Client Request to that thread. - That Thread is responsible for taking that request, process it, perform Blocking IO operations, prepare response and send it back to the Event Loop. - Event Loop in turn, sends that Response to the respective Client. Node Js packages are written in c so you must have a c compiler such as GCC on your server. If you are using encryption in your networking code then you need openssl Cryptographic library. First you need to do ssh login to your server via putty and make sure that all the required packages are installed in the server if not you need to install it before installing the node js. Next you need to enable the port to run node js on your server. Most of the developers use port 3000 so we have taken port 3000 to get enabled here so kindly contact your hosting plans provider for enabling the port. Create node js file under any server directory where you need to add your complete project files.